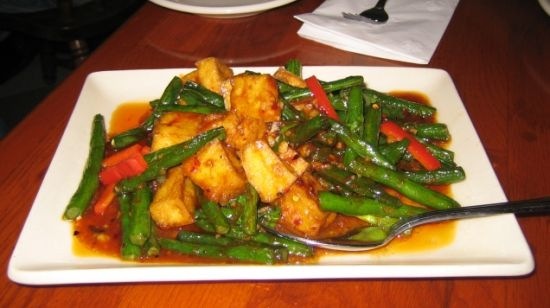 When it comes to Thai food, we are very fortunate: less than 2 blocks from our condo is arguably the best Thai food in Seattle. Yes, I’ve done a tournament for Thai Tom, and I enjoy Thai Tom and all of their unique flavors. 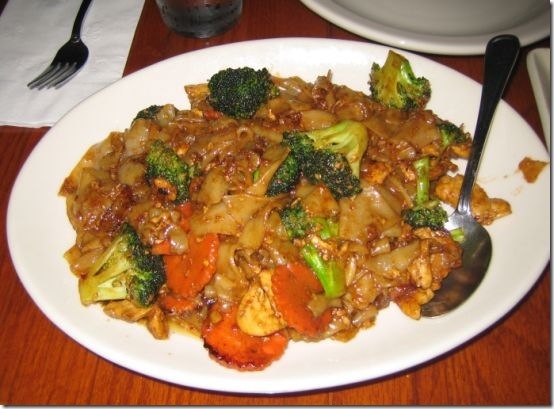 But if I was given a choice and forced to eat at only one Thai restaurant for a year, I would choose Jamjuree. They have a broad variety of fantastic dishes, very friendly service, rotating specials, and (as a bonus) a selection of local microbrews on tap. They can also handle large parties, such as my extended family descending upon Seattle or a hungry crew for Yom Kippur break-fast. It’s really shocking that I haven’t written about Jamjuree yet. Lauren and I eat at (or take out from) there a few times per month. After a vacation, it’s almost a given that I’ll return with a huge Jamjuree craving (perhaps coming back from Thailand will be an exception there :)). Tonight we remembered to bring the camera and enjoyed a few favorites. On the spice level, I order everything here at "3 stars". 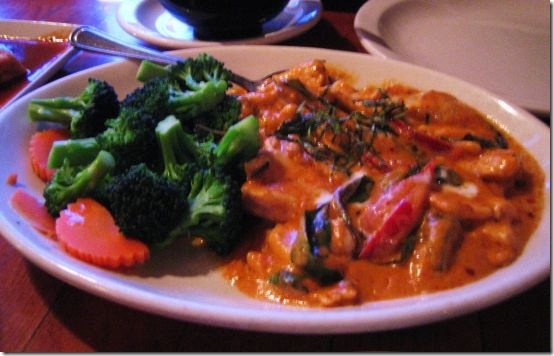 In addition, we request the "spices" (a trio of Thai flavors) on the side for selective added flavor. First up, we always order their amazing Pad See Iw. I have a soft spot for wide rice noodles, and Jamjuree’s rendition of Pad See Iw is the best I’ve ever had. Dish#2: Panang Curry. A little creamy from the coconut milk with a peanuty overtone (though I’ve been assured there aren’t actually any peanuts in the curry). Dish #3: In honor of the write-up, we ordered a third item for dinner – "Green Bean" with tofu. It’s a nice contrast to the curries, and has more of a soy-pepper base. Lots of sauce, but the green beans remained nice and crunchy. 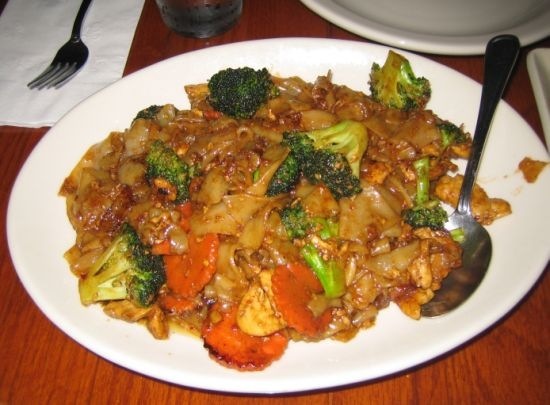 Other recurring favorites include "Basil", Cashew Chicken, and Lime Light Chicken. Overall, another highly satisfying meal at Jamjuree. And the leftovers will make for a great snack tomorrow! This entry was posted in Food on March 30, 2008 by kenny. I had my first Specialty’s experience downtown with my buddy Mark. I was on jury duty and the weekday lunch rush was controlled mayhem in action. I don’t recall the sandwich I ordered that day, though I will never forget the Wheatgerm Chocolate Chip cookie. I wouldn’t have ever chosen it from the description, but at Mark’s recommendation I gave it a shot, and wow! It’s very possible that they have crack in them. They really will make your day brighter. Specialty’s makes all of their own cookies (and bread and other baked goods) on site. They sell soups, salads, and sandwiches. The salads and sandwiches are made fresh to order. Alfalfa Sprouts, Herb, Mayonnaise, Stone Ground Mustard, Roasted Turkey Breast, Swiss, Green Leaf Lettuce, Tomato, Red Onion, Cucumber, Dill Pickle, Avocado, Italian Vinaigrette, Ranch Dressing, Black Pepper. All served on herbed bread with a soft middle and a crisp crust. 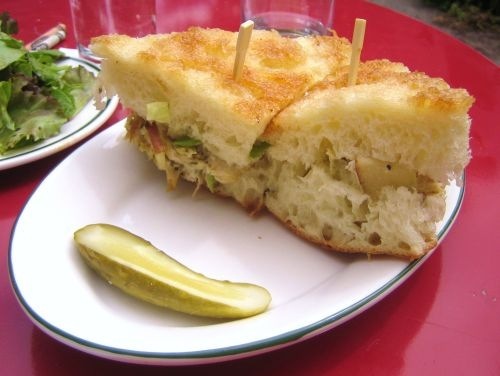 If you have a hankering for a good sandwich (or cookie) and are near a Specialty’s, you should definitely check it out! 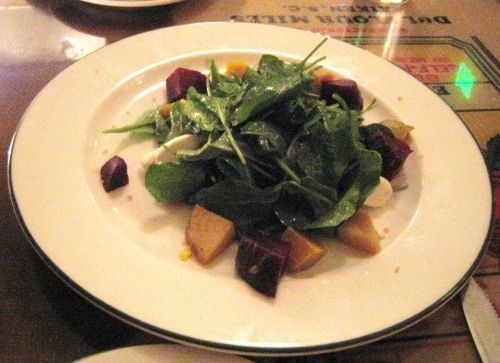 This entry was posted in Food on March 26, 2008 by kenny. Just over a year ago, a new restaurant/coffee-shop opened on the north side of Capitol Hill, in the location of the former Café Europa. It wasn’t until early summer that I made my first stop at Volunteer Park Café. It was to be the first of many tasty visits. Fast forward to October 10th. Lauren and I attempted to have dinner at Lark, but were greeted with an hour wait. So we decided to check out how VPC handles dinner. I still remember the Fig and Gorgonzola Pizza we had that night. We returned last night and the waits were running over an hour. Fortunately we had called ahead for a table, as it seems reservations are a must over the weekend (the weeknights we’ve been there have been much more sedate). 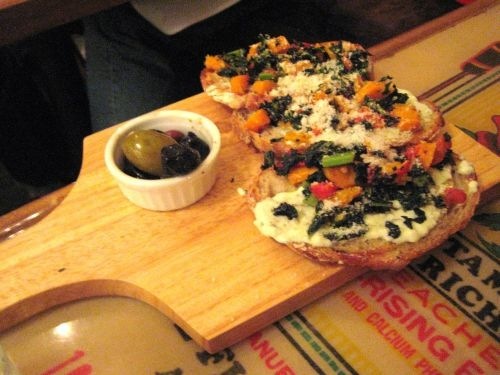 VPC rotates their menu weekly, though it always includes a daily bruschetta that is worth checking out. Last night’s variation was a garlic spread with butternut squash, red peppers, kale and a little pecorino cheese. On top of freshly grilled bread of course. A hearty and tasty beginning! Next was a mixed beet salad (with all local vegetables), with chevre, arugula, and a light vinaigrette. The chevre was fantastic, and a little bit of salt in the dressing brought together all the flavors perfectly. Another regular appearance on VPC’s dinner menu is their selection of pizzas. We’d already had the "Roasted Mushroom" (with truffle oil) and the "Bianco", both of which were fantastic (though not quite as good as the heavenly Fig and Gorgonzola). Last night we branched out and tried the Spinach Pesto, with oven roasted tomatoes, red onion, feta, and oregano. The pizza was decent, but not in the same league as the rest of the pizzas I’ve had there. Maybe it was the pesto base, maybe it was the thickness of the crust, or maybe it was the greater number of toppings or the higher than usual ratio of bread to toppings. Whatever the reason, I’d pass on the Spinach Pesto pizza in the future, especially given the solid alternatives. On weekends Volunteer Park Café offers both breakfast and lunch options well into the afternoon, and in the summer they have (slightly rickety) tables flanking the sidewalk in front of the café. For those with a sweet tooth, definitely try the Caramelized Banana Brioche French Toast. It’s heavenly. Other breakfast highlights include the Brie and Apple Panini (on croissant, not baguette) and the quiche of the day. A running theme is that the pastries are sinful, but oh so flaky and buttery. Orders take a long time to complete, so make sure you’re not ravenously hungry when you arrive (or if so, grab yourself a scone or croissant while you wait). 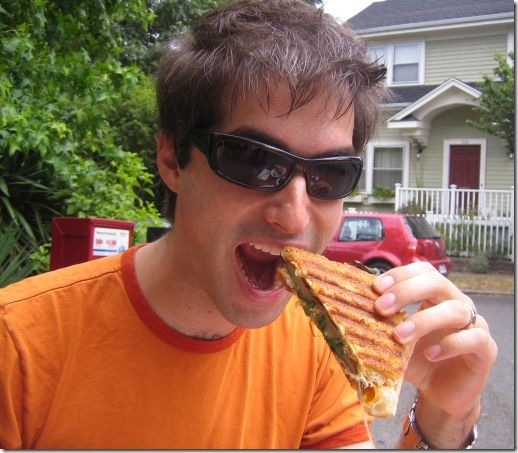 For lunch, the Herb Roasted Mushroom Panini is my current favorite. 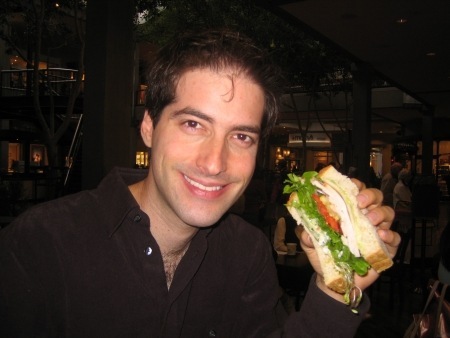 Though I also frequently order the Chicken Salad Sandwich. Overall, Volunteer Park Café is a relaxed, enjoyable, friendly place that consistently turns out great food for all meals. Add a reasonably priced wine list (which seems to be rarer and rarer these days) and super-friendly staff and it’s no surprise that the lines can be out the door! This entry was posted in Food on March 22, 2008 by kenny. Which makes life on the ChannelFactory end pretty straightforward. On the ChannelListener side, there are a few subtleties. First, a Channel is owned by the listener from the time of creation until the successful completion of channel.Open. So if you are writing a custom listener that has offered up channels, you should clean them up if and only if they haven’t been opened. Second, in order to perform eager disposal, you will need to track active ownership of your heavyweight resources. If there are opened channels, then you need to make sure that the shared resources that they leverage have their ownership transferred from the listener to your active channel(s). This can be accomplished through ref-counting, active transfers, or other mechanisms. This entry was posted in Indigo on March 18, 2008 by kenny. In our quest to go through the myriad of squash that we’ve gotten from Pioneer Organics, tonight’s experiment was butternut squash risotto (base risotto with shitakes, cream, and butternut squash). 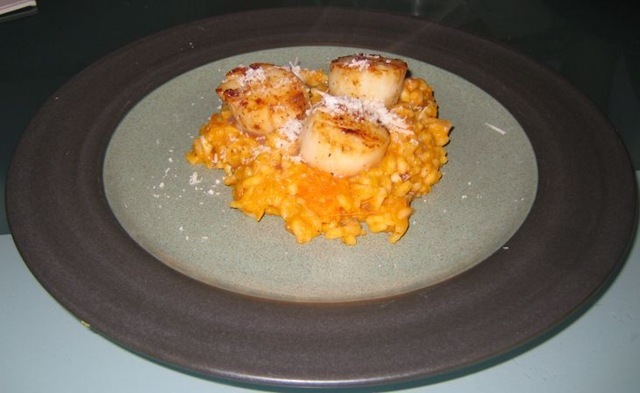 And we doubled down on new recipes; tonight we also tried the George’s Bank scallops (frozen) from Trader Joe’s. 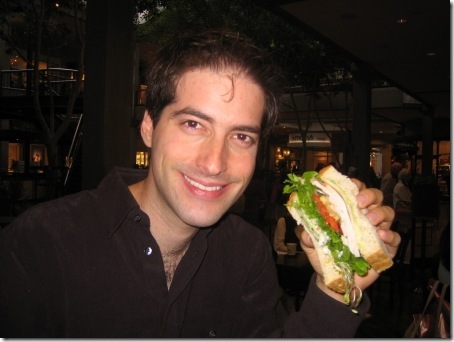 This entry was posted in Food on March 17, 2008 by kenny. When your innerInputChannel.Receive call returns "null", that means that no more messages will arrive on that particular channel. You should Close that channel and then Accept a new one. If the innerListener.AcceptChannel call returns null then your inner listener is completely done providing messages and you need to follow suit when you are through with any added messages that you may have buffered. This entry was posted in Indigo on March 11, 2008 by kenny.